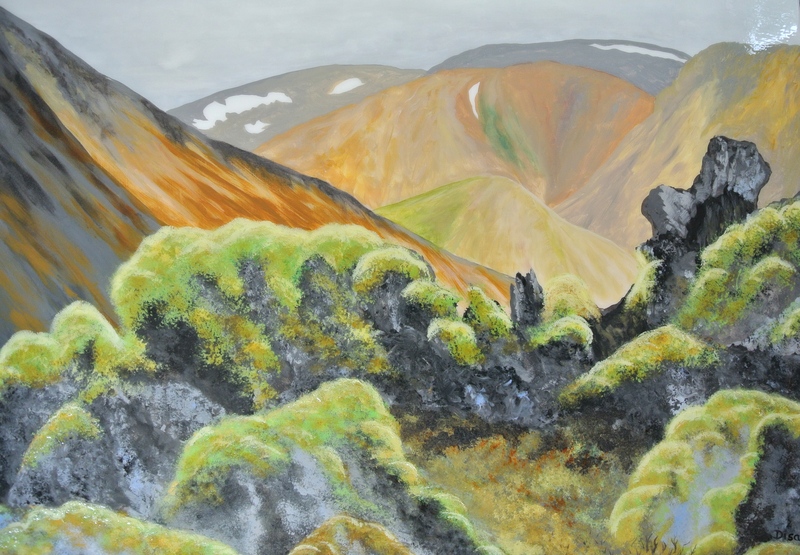 Landmannalaugar, Iceland 2015 30″ x 40″ Acrylic on wood $2,400. “Winters End” 12″ x 12″ Acrylic on wood $350. 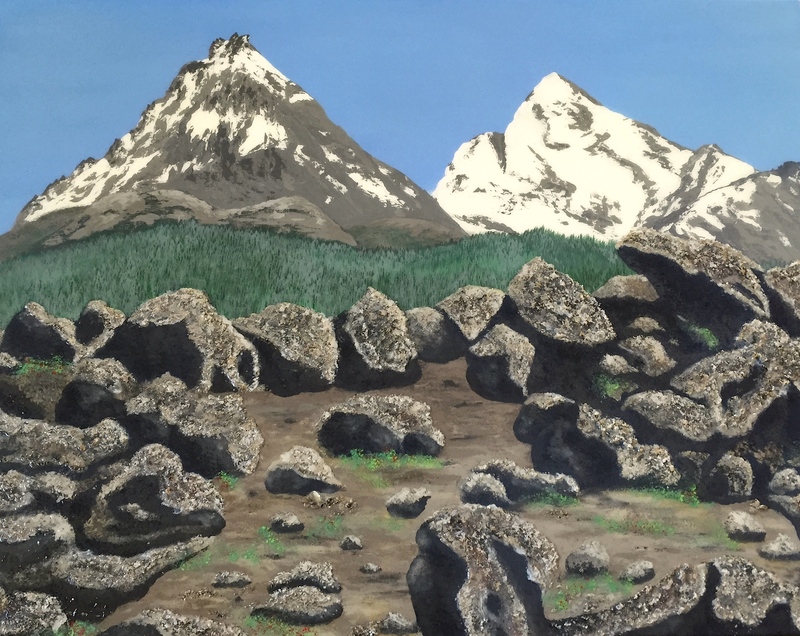 “Sisters” 2015 As viewed from McKenzie Pass, OR Elevation 5325′ 30″ x 40″ Acrylic on wood $2,400. 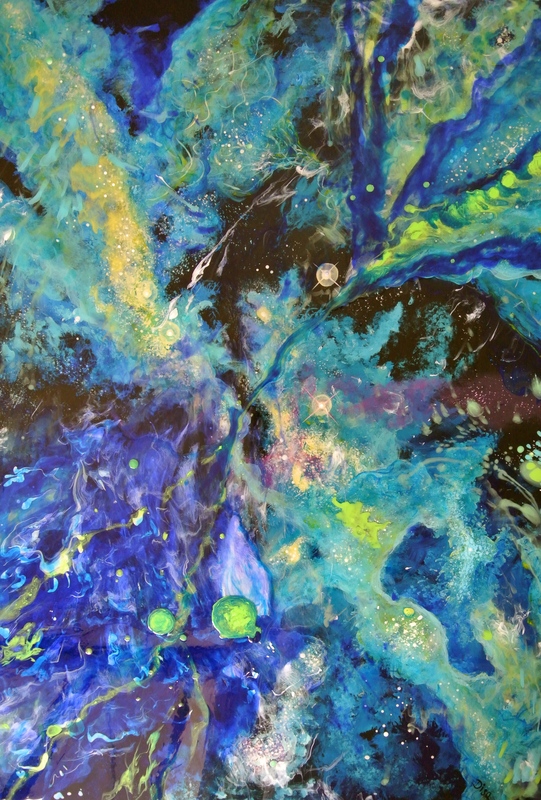 30″ x 40″ Acrylic on wood. 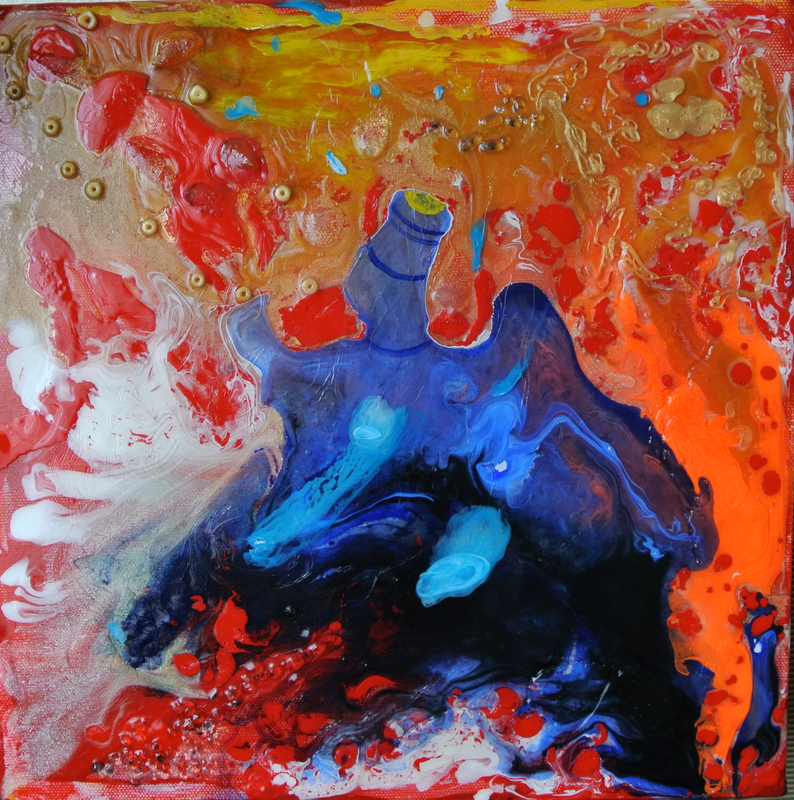 Master of MEST 12″ x 12″ $350. Embedded with Herkimer Diamonds and bone beads which have traveled the world, including within the walls of the Great Pyramid of Egypt!